GallowayTwpNews.com previously reported on emails we obtained that allegedly contained Harassment, Consequences and Violation of Policy asserted in emails by Chief of Police Patrick Moran. The release of those emails, in our opinion, thwarted an internal investigation in mid-July that resulted in one Officer allegedly being placed on Administrative Leave with pay and then further allegedly being suspended without pay. Several sources stated to GallowayTwpNews.com, that an order was allegedly issued by Moran in mid-July stating at least one officer was placed on Administrative Leave with pay. For verification of that information, we submitted a request for comment to Chief Patrick Moran. Moran responded by stating, "internal orders to the department are mainly operational but they could be personnel issues as well. Therefore, in order to avoid an interpretation that may or may not be favorable about an employee(which may violate their rights); I have no comment in regard to your question regarding the status of any employee, assignment of any employee, or the existence of any order. However, all documents you are entitled to under OPRA will be provided appropriately. I am sorry I could not help you any further at this time." The Publisher of GallowayTwpNews.com was contacted by Captain Chris Doyle and was requested to appear for an interview. We voluntarily agreed to the interview and cooperated with the GTPD. On July 31, 2013, Galloway Township Police interviewed the Publisher of GallowayTwpNews.com regarding an Investigation involving Release of Information. The interview which lasted a little over two minutes, was in reference to an investigation being conducted in order to identify members of the Police Department who allegedly released information without the authority or consent of the Chief of Police. The interview was conducted by Captain Chris Doyle and Detective Sergeant Donna Higbee. Click Here for Audio of the Interview. During the interview, GallowayTwpNews.com Publisher invoked the NJ Shield Law by shielding the information provided to the Publisher by several sources. A law which provides for a reporter's privilege of information provided by sources. As of August 12, 2013, GallowayTwpNews.com was notified by several sources, that the Officer who was allegedly placed on administrative leave, was now allegedly suspended without pay. Several sources confirmed the name of the Officer that Chief Moran allegedly suspended without pay. Moran was not immediately available for comment regarding the status of that Officer. GallowayTwpNews.com agrees with the Chief of Police in protecting the rights of the employee. Therefore, we will not be releasing the name of the Officer that is now allegedly suspended. GallowayTwpNews.com will continue to follow-up on the status of this investigation and the status of the employee who is allegedly suspended. This Investigation with Galloway Township Police was not the first in which GallowayTwpNews.com Publisher has cooperated with Law Enforcement Officials. In June 2013, GallowayTwpNews.com was served with a Subpoena from the Atlantic County Prosecutors Office on behalf of the Galloway Township Police Department regarding a Criminal Investigation. The information sought by the ACPO was not privileged under the NJ Shield Law, therefore, the information from this Publisher had to be provided to the ACPO and GTPD. The ACPO has ordered GallowayTwpNews.com Publisher to not release the "specific information" provided. GallowayTwpNews.com Publisher is also cooperating with the Atlantic County Prosecutors Office on two other investigations. One of those involving Galloway Township and another involving the City of Egg Harbor. The investigation pertaining to Galloway Township involves at least one current Council member and a member of the Galloway Township Republican League. GallowayTwpNews.com can not name the Elected Official, GTRL member or the information and documents provided to the ACPO. GallowayTwpNews.com Publisher is fully cooperating with the ACPO regarding this investigation. GallowayTwpNews.com Publisher will continue to cooperate with all Law Enforcement Agencies that seek information, including providing information as required under New Jersey Law. I knew it. Man that girl has balls. Galloway is in some serious trouble. The fact that a Journalist appears on their own free will to an interview with Law Enforcement when you probably know they want your sources, is crazy. But, listening to the recording, the voice of the Publisher was calm, cool and collected. Admirable to say the least. As a Journalist myself, I never would have agreed to that. I give hands down to Lisa Tilton for cooperating with Police. Nice Job protecting your sources. More Journalist need to do the same. It just shows this Publisher and Website can be trusted with information. It's a shame an Officer could be facing disciplinary action for letting the truth out. But it's not a shame that Purdy is most likely the person being investigated. He needs to go. 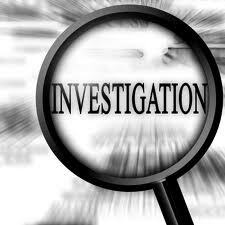 Can ACPO fast track the investigation? Where are the Purdy supporters now. Bye purdy. I felt Purdy would lose. this will be a landslide. A lot of accusations without much being said. Seems quite a few know something about Purdy but nobody is saying. Rumors swirling around implicate many including Purdy and this publisher. Seems they both have something on each other? Anyone going to say? I would like to know why Galloway Police even requested a reporter to be interviewed about an internal investigation? They had to know any reporter caught in that situation would report on it, so why do it? Did they want to embarrass the employee under investigation or the reporter? This to me sound like a bad move on the Township's part. If you really want to know about Purdy then just look up his finance records. Money is the root of all evil. Municipal Contracts, County Contracts, Federal Contracts and his BIG contract with the Hospital. His election contributions speak already for one attorney he "slipped" a contract for and is now receiving thousands of dollars in his election this year. Lets not forget his text messages, recorded conversations and surveillance videos in his shop. I know this Publisher has a dump truck of information on this guy. It needs to come out and not by another lawsuit. Tell the story and the whole story of what Galloway has done and what Purdy has done. I heard the Chief is taking a step back from Purdy. I commend that action. At least he knows its time to cut the cord on the Purdy tow line. Why are the 3 supporters Purdy has now quiet ? Liston should bow out now. bet on "the don " whacking him shortly. where has dr, mister, grand pooh ba tyrell been. betcha coppolla didn't see this coming when he was approached to run. Purdy ruins another good name. so many years to build. name ruined in a matter of monthes. if he had a pair, this would not be happening. where is dase? perhaps we should put him on a milk carton. Anyone see the smackdown Lisa Tilton gave the repugs tonight at the Council Meeting. Leaves me speechless. I also believe that Purdy is the target. And, I believe that the GTRL person under investigation is Theresa Lucarelli, a.k.a "Purdy's Brain". I saw smack down. It was funny seeing Coppolla tell her, Oh you know about the ordinance. LOL. Duh yea she does. She is smart and knows pretty much everything. How is invoking 'the shield law' to protect a disgruntled, disruptive, self serving police officer, hell bent on causing turmoil within the department for no purpose that benefits anyone but himself, 'cooperating with police?' Some folks take themselves way too seriously. You must be a target of an investigation. What part of the reporter has no obligation to agree to an interview with police and she did anyway. Look in the dictionary. That's called cooperation. If the reporter has nothing to hide and knows the rights, why not invoke them? You take things to seriously. Why is OneGalloway not promoting Purdy of their Facebook page. They posted everyone but Purdy. To all, I have been friends with Don Purdy for over 20 years. He is a kind and generous man, loving husband and father and a great business man. I am disappointed in his latest actions and how he has conducted himself as a councilman over the past year. Knowing a lot of the people involved in the latest events, I know Don is not perfect, but maybe he can ask for forgiveness in some of his actions. It is heartbreaking to see the public come out in force in such hatred as they have. I think politics swallowed the good man Don used to be. Knowing Don he does like to fail, but maybe he needs to step aside and start taking care of his family and business. Forgiveness...?...he just needs to remove himself and face the consequences of his actions. What's done is done. It's not like he wasn't getting feedback all along from others. He made the choices he had to make. This guy is a political disaster. He made all the classic wrong moves and has learned nothing from those before him. His piney politics and mentality of "taking care of his own" goes way beyond his family. Let's lose this guy and move on. Forgiveness is not a word in Purdy vocabulary. That dictionary is limited in the Purdy world. Contracts, money, contracts, money and the phrase, I didn't mean to do it is about all that man knows. Is there an ethical conflict if the Mayor of Galloway is showing up to Mayoral functions in his DP Towing truck or to bars drinking? Tilton can you tell us who the councilmember and gtrl member is that you are saying you provided the acpo information on? Anonymous at 8:08pm, I am sorry but I am not at liberty to divulge that information. However, another post indicates Terry Lucarelli as the GRTL Member. I will confirm, to my knowledge, Ms. Lucarelli is not a subject at this juncture. Let the cops do what they need to take down those corrupt politicians in Galloway. She said she was cooperating so leave it at that. I'm sure its not easy for her after everything the Township put her through. We should be thanking Lisa for stepping up when some of us couldn't. I hate the false attacks on this site because someone previously is now bitter. She will take down the top dog Purdy. I am confident in her ability to do it. The attacks are petty and immature. those people need to grow up. The only people attacking her are those close to him. They don't matter. I mean it's not like they are "real" concerned citizens that want their local government to run properly. They want things to stay the same some they can continue to reap the benefits. Otherwise, why would you think otherwise. I always wonder why does it matter WHO is bringing these issues to light.? The issues are relevant....the issues are out there....they ARE happening...they are real and they are legit. The attacks are far from immature and petty. They are out there to intimidate so the reporting stops. Plain and simple. Keep the stories coming Lisa. As a reader of this site I can see it getting more momentum and buy in from people in the township and surrounding areas. The stories are getting better and the reporting is getting better so keep it up. If you are not getting attention then you are doing something wrong...keep it up. Wow, pretty low blow making a derogatory comment directed at his kid. And even lower that the comment was published. I read that comment last night. Someone really getting sensitive over the word brat. Geez. People need a life. Below comment left by Anonymous on 8/16 at 4:33pm, modified. In response to the post by Anonymous at 10:26pm on 8/14... Being a friend of Purdy's, you probably have been brainwashed by him... or paid off... Either way, how dare you say he is a kind and generous man... He is ripping off the people of this township who work hard and pay their taxes. He doesn't give back to the community, instead he buys new cars, builds a brand new house, and builds a new shop. I'm sure that is all done by the tax payers dollars hard at work. A great business man? His business is a joke. He treats his employees like scum. Asking for forgiveness is something he need not do. Just resign and let someone who cares about the Township of Galloway in office. You people are stupid to threaten anyone let alone the publisher on a story she already reported to the police. You deserve to be locked up with the mayor. Thank you to whoever modified but still allowed my comment to be posted (8/16 4:33pm) ... Just for clarification purposes, I just want to make sure it's not MY comment that was reported, because I don't believe I said anything threatening... And the part of the sentence that was modified, I understand why it was. Also to everyone else, the comment section is for us, the people of Galloway, to speak our minds in regards to the article and situation at hand... threatening the publisher or anyone else is immature and foolish. Reading though this site I have to agree with the Publisher. They should report all those threats to the Prosecutors office. Everyone connected to the threats should know you can't go around bullying people just because the Mayor of Galloway was exposed. It was bound to happen. His conduct towards employees and the public has been egregious. I will never vote for him again. I heard the rumors out there on what he keeps telling everyone he has on this publisher and it is disgusting. Corruption by this man has hit an all time high. I hope all of atlantic county realizes support of this guy means you support threatening behavior and you should never be re-elected again and should be thrown out of office.